Note: I kind of goof up the order of the steps listed below. Either way, you’ll get the same result! Also, don’t mind the guide lines I put in before hand! Maybe I was a little nervous! Tip, make sure to “true” the pattern by making sure the following corners have right angles; center front waist and neck. 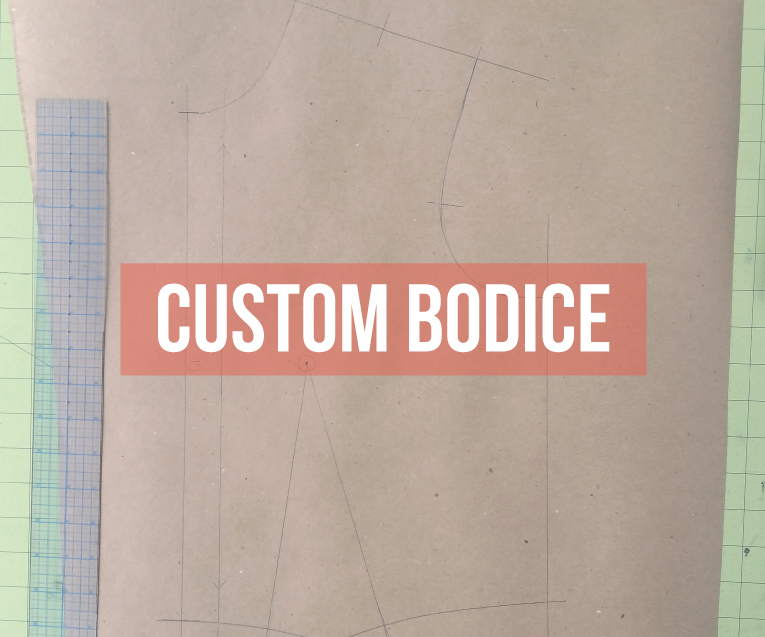 Note; this is a simple bodice pattern without seam allowance, wearing ease, style lines, or darts. Please review my pattern making resource page to learn more about fundamental pattern making techniques. 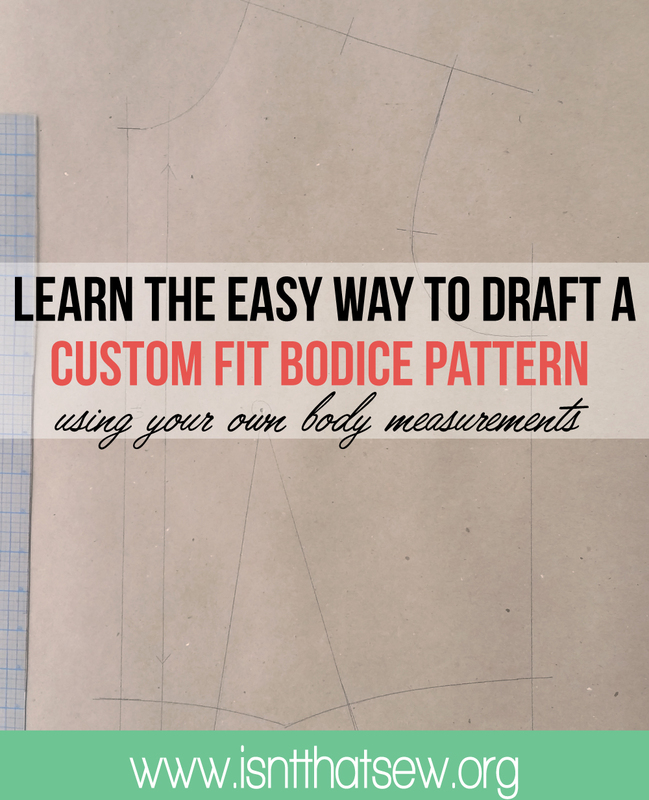 Check out this video to learn how to add a dart to the dartless bodice. But, what about the back pattern? I see some comments about the website but I am so thankful that this website exists. Not even fashion schools would teach valuable informations like this. I just discovered the website today and I’m so excited to learn every sections of it. Thank you for sharing and helping all learn. Your passion is inspiring. Hi! Is there a separate tutorial for drafting the back bodice as well? Hello! Could you maybe please do a video for this part as I am deathly confused? I have no idea how to measure these. Thank you! Hi, Ruth ?! I sooo love this site! You are an angel! I’ve been looking for a site like this. By the way, I took up Garments when I was on 9th and 10th grade, so I have a bit of knowledge about drafting and sewing. Admittedly, I’m much leaning on drafting. On our lessons (in which once, we made a dress—semi-casual), we started learning about pattern foundations and the likes. Although ours was something like this: 1.Make a perpendicular angle on a folded craft paper (so we’d just transfer/copy the measurements) 2. Measure the length of your shoulders (from tip to tip); 2.1. Divide in half; etcetera etcetera LOL (I could still clearly remember every steps of the procedures but it would be better if I had some illustrations). Basically, it involves a lot of math, divide the shoulder length in half, the bust size in 4 then add 1″, so on and so forth; I’m not complaining though, it’s actually the main reason why I love drafting. Frankly, I’m a bit hesitant to try your way, but I’m also interested (coz yours is way faster). The thing is, I’m planning on designing and drafting the pattern of my own prom dress (it’s actually on Feb. 2018—I’m a Senior, so it’s realllyyyy important to me) and since last year, I’ve been looking and compiling (also Pinning) gown ideas from Pinterest. There would be a dress in which I like its sleeves (I have an addiction to long sleeves) or its unique neckline (I want it off shoulder), and I’m still debating if my dress would be A-line, or full circle but it would be certainly floor length. Gah! This is very lengthy, pardon me, but I’m really excited and just couldn’t contain it. Hahaha! One thing’s for sure: I’d be frequenting this lovely blessed site ? Thanks for the kind words! There are many methods to pattern drafting and if you’re a math buff, I would stick with the more technical way of drafting patterns! Good luck on your prom dress, it’ll be great..I KNOW IT! you are simply amazing ruth. you have made drafting incredibly simple for me.thanks and God bless you. Thanks for the kind words. You’re welcome. This is the easiest method I have been able to find-I have always been a visual learner and am the sort of person who never refers to directions when it comes to assemble things like furniture or appliances-it comes easier to me if I just lay it all out and look at it-most things are pretty self-explanatory if you just look at the way they are shaped. This is similar-if you just look at what you are drawing, you shouldn’t need the math-if it looks right, you’re doing it right. I needed to find out what and where to measure, without a lot of fussy calculations. Thanks! You’re welcome! I agree fussy calculations are what intimidates people the most! I understand how you made the pattern. The line is just too thick for me. What line are you referring to? Is there anyway you can redo this with numbers or letters. Than the colors went from green to red. It was confusing and I didn’t see any math. Thank you for doing it though. Thank you would have found more helpful if you had numbered each point to corelate with the diagrams . This is so awesome!!!! Thank u for sharing this amazing article with us. Its the best method to make the bodice block.